An advertising company wanted to excogitate a new method to promote their products. Whatever they actually did though, they didn’t get the formula right. 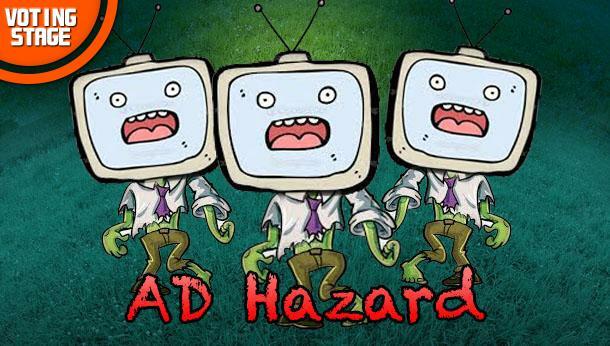 An accident caused all of their staff to turn into Ad-Zombies. They are on their way to take over our city, with their fantastic, amazing, lovely brainwashing advertisements. Are you ready for a fight, soldier? Protect the citizens, stop the zombies and save our city from a brainwashing disaster. Oh! Be careful, some “bodies” may not be as normal as other “bodies”. Zombies approach from different routes. Knock down all the zombies and keep your territory free of zombie attacks within a set amount of time. If a zombie arrives in your territory, an advertisement will be seen when each stage ends.